Hyde Park Estate at New Chandigarh is DLF’s integrated township panning over approx 229 acres. A 10 minutes drive from PGI, Chandigarh and Punjab University, it is located across the Chandigarh-Punjab border overlooking the Shivalik Range. 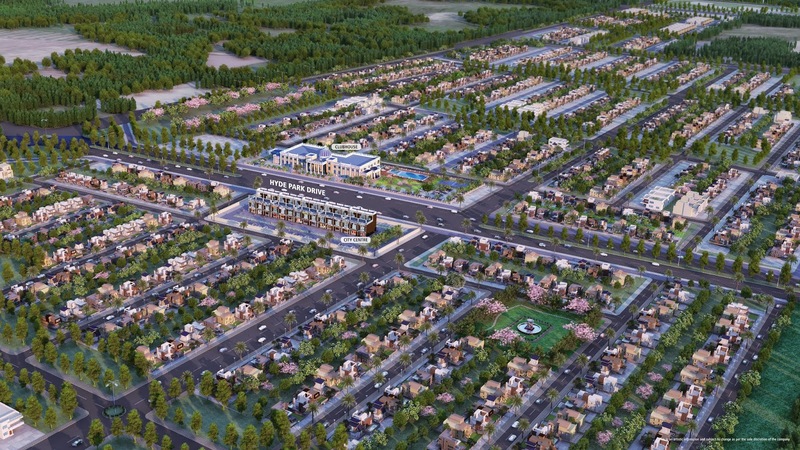 The Township is designed to have a multifaceted landscape comprising of residential, commercial and retail buildings. The townplanning of the development conforms to low population norms. View of the Shivalik range, multiple parks & green belts, eco-friendly civic infrastructure, wide roads and varied proposed township facilities ( mentioned below) will make Hyde Park Estate, one of the most aspiring residential addresses of the region in the times to come. For any further assistance or clarifications, please feel free to contact the undersigned.